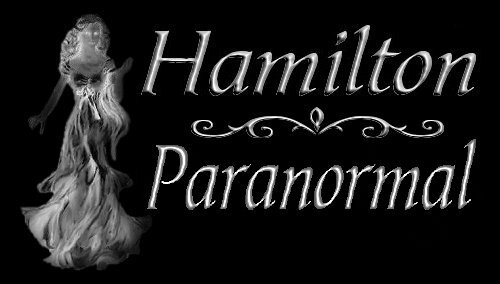 Hamilton Paranormal - Morbid or Not? We have received emails about and have been spoken of, saying what we do is disgusting and morbid. Investigating places where people have died before their time. All through history there have been many folks that were in the public eye so to speak, that made an impact on today's world, that died before their time. Their significance to history does have an impact on each of us, that leaves an imprint on times gone by and leaves a better future for all of us. There have been many wars where young and old have died fighting for what they believed in for their country. These families and friends and the world remember these brave souls in many ways. Then there are those that were not in the public eye that died a tragic death. Where family and friends would have to deal with the loss of a loved one and come up with some kind of closure. Since the beginning of time, man has always wondered about life after death. Does the spirit of a person or persons that died a tragic death remain here on earth, but in another dimension that is parallel to ours? We say, if a person knows that they have an illness where they know they will die sometime in the future (such as a heart patient or cancer victim) then once they pass over they will be able to cross over and continue their journey. They have had time to prepare themselves for their death. A spirit of this nature can cross over, then return to check on loved ones at any time. This is where we hear or have read stories of another person's experience, that they saw their mother or father sitting or standing by their bed shortly after they have died. Or they heard their name being called out that sounded like their mother or father's voice. Those folks that die a tragic death such as a car accident, murder, plane crash, fire, explosion, to name a few, are the ones that were not prepared to die. They would become confused (not knowing they have died) or they may have unfinished business(where they have to complete some task before crossing over) or they refuse to accept they have died. In most cases these spirits are locked into the location where they last lived and some folks that encounter this type of spirit report the location as being haunted or to have paranormal activity to the area. We believe there is a message from those that died in a tragic event. This is why we conduct investigations into the paranormal way of things. Each person that has died in a tragic event is unique in nature and their spirit remains here on earth for a reason. Each article that we put up is our tribute to those that died before their time. We firmly believe that spirits that walk the earth have a message to tell before they can move on. All we have to do is stop and listen, and continue to investigate the world of the paranormal to try to find out what the spirits are telling us. We live in a world where everyone has an opinion on a subject whether it be politics or the paranormal or religion etc. In our humble opinion, what we report on our website is not morbid or disgusting, but rather enlighting to the existence of spirits that live among us for a reason. Sometimes by showing the historical value of an article we put up could (and has) brought some closure to a person they knew that had died. No one, including us could ever know everything about the subject of the paranormal, all we can do is learn one day at a time.